"I would highly recommend Train Aid�Paediatric First Aid courses to all Local Mums. A small group meant lots of practice time, a clear concise trainer (Billy) who was very clear in demonstrations and patient with everyone plus a good textbook/practical ratio. Well worth the money and much cheaper than some similar courses out there." "I would recommend Train Aid Paediatric First Aid courses to all Local Mums. This was the first Paediatric First Aid I did and the experience was very good. The teacher (Tom) explained all the content very well and made the experience very interesting and understandable. I will do more courses with them in the future for sure!" 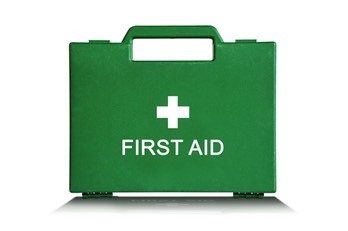 Train Aid�provides Paediatric First Aid (12 Hour) courses on a monthly basis at our training centre in Guildford, Surrey. The training courses teach easy to understand skills that can be used to save the life of a child or infant in the event of an emergency. the courses are ideal for childcare workers who will gain professional accreditation within their field, and for parents/ guardians who may simply just want to learn how to save the lives of their little ones.